When you look at his filmography, it is no secret that Russian director Aleksandr Sokurov loves history and art, and most of his works are meditations on those two subjects. One of his most heralded films, Russian Ark, was a technical tour-de-force taking place in Leningrad's astounding Hermitage museum, and was a voyage through all what happened in (or to) Russia in recent centuries. Now, with his visual thesis Francofonia, Sokurov points his gaze at one of the other most famous museums in the world: the Louvre in Paris. But rather than use that building as a fixed point to show the history of France, Sokurov muses about art in general, its use to people, and the sacrifices we must be willing to make to preserve it. This is not a series of cleverly localized re-enactments, like Russian Ark was, but it isn't a documentary either. Instead, we get a mixture of historical footage, poetic fabrications and imagined conversations. 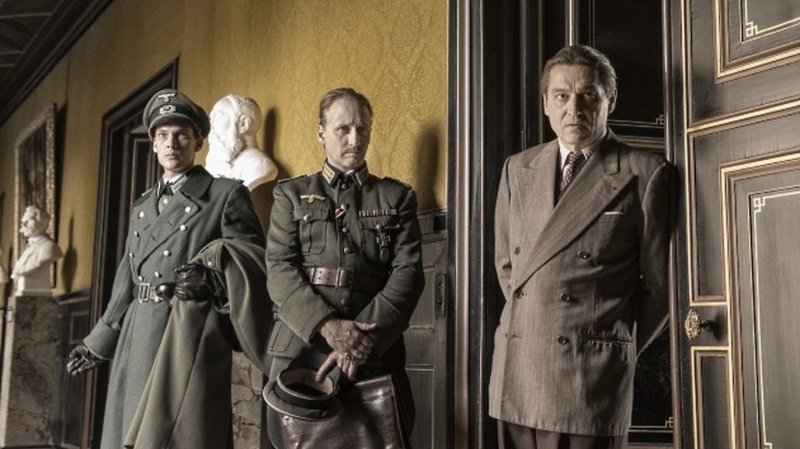 Aleksandr Sokurov isn't even telling us a story, or a description, but ruminates on his own opinions and theories. To make his points, we do still get a fair dose of history lessons. We get to see how the Louvre was built and extended over the years, including the massive, controversial additions of some decades ago. We see how many of its most famous pieces were robbed from other countries during wars. And a big part of the film is dedicated to how, in turn, much of the collection would probably have been lost to Nazi Germany during the Second World War, if not for the careful sabotaging by several high-ranked French and German officials. And here is the thing: most of what Sokurov shows us is incredibly interesting. The re-enactments are nice, as the director fully indulges in wonderful visual compositions, but his selections of historical footage, especially of Paris as occupied by the German Army, are no less stunning. Even though I often do not share his opinions on the meanings of art, I cannot help but be impressed by the way he has you look at his views. His approach could so easily have made his film devolve into pretentious drivel, or a boring lecture, but... it doesn't. Even though many of its shots are leisurely pointing at paintings or statues, allowing the audience to catch up on the previous train of thought, there is a huge wealth of information crammed in Francofonia's 88 minutes. I will not pretend I understood the meaning of every single image I saw, or that I am fully behind Aleksandr Sokurov's views. But I am very happy to have taken this trip through the Louvre, and he sure is an able and knowledgeable guide.